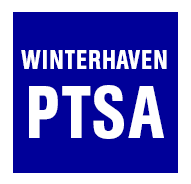 Navigate to the Teacher Wish List page, making sure you are logged in to Google using your you@winterhavenschool.org id. Click . An Add Item form opens. Select your own name from the Teacher Name drop-down list. Type a Requested name + description of the item you want. Enter the Date you originally asked for this item. Enter a URL if the item can be purchased online. Enter the estimated Cost of the item. NOTE: Please try to remember to return and put a check mark on this form when the item has been purchased. The item will be shown in the Teacher Wish List table.